Who is the author, and what is the effective date of completion of the book? 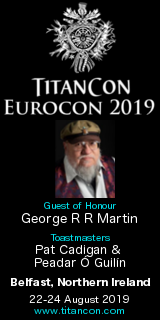 Is that author someone who either has taken part in the events of A Song of Ice and Fire, or who has been mentioned as recently important, or will yet be seen in person? E. g. Grandmaester Pycelle was around 40 when elected at request of Jaehaerys. How about a book written by Pycelle in his 30-s, before Summerhall tragedy? Or someone whom Samwell and Sarella will meet living in Citadel? Somebody correct me if I'm wrong but I got the impression that it wasn't so much a single book as a collection of different "books" written by several different maesters. Am I right or did I completely misread that? AzureOwl, I think you are correct. The impression I got from comments from Ran here on the board is that the world book will have articles 'written' by several different maesters, possibly from different points in time in the history of Westeros, Essos, etc. Something that has been bothering me for some time: Are Ran and Linda just writing about GRRM tells them? Like, expanding the prose based on hard data? Or do they have any creative input on the book?